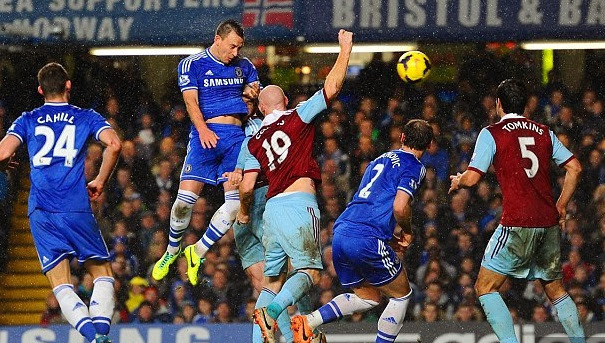 Watch Chelsea’s boring 0-0 draw against West Ham United Full match highlights. Short highlights will be available shortly but you will have to wait for the longer version highlights which will be placed here later in the night. In the Premier League game on wednesday night we had Chelsea took on West Ham United in what was a great game and Chelsea were hoping to leap frog Arsenal into the 2nd place but a 0-0 boring draw at Stamford Bridge has kind of left a bad taste on top of that City went on to win their game against Spurs and now they sit at top of the table with 53 points from 23 games player. Jose Mourinho went with quite a strong squad but a very resiliant and stubborn West ham side who refused to give up throughout the game. Jose Mourinho will be feeling a little relieved after not losing at home with Hammers missing a couple of good chances towards the end of the match. next up for Mouinho is the trip to league leaders manchester City which could very well end Chelsea’s chances of the league title or put them in a very strong position going into the later half of the season. We will have the full match highlights of the match with extended footage of match video, you can check back at around 12:00 GMT to get the full match highlights but right now you have the short highlights.